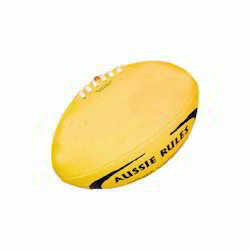 Prominent & Leading Manufacturer from Jalandhar, we offer inflatable afl balls, australian rules rugby balls, antique leather rugby ball and antique leather football. 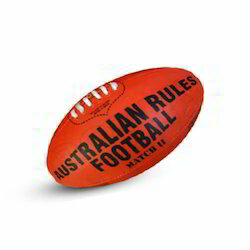 Pioneer in the industry, we are engaged in presenting an impeccable range of Inflatable Afl Balls. At our production unit, the professionals hand stitched the balls using original leather 1st grade materials along with adhering to sports industry standards. The offered ball is created using base leather materials and by applying latest technology. In addition, quality controllers from our team opt for strict quality inspection made on the balls. Besides this, clients can get the balls from us at cost effective rates. We are an acclaimed name in the market, engaged in presenting a superior quality array of Australian Rules Rugby Balls. These balls are manufactured using leather materials and applying latest techniques. The offered balls are made available in standards size. Furthermore, quality controllers from our team opt for strict quality inspection made on the balls to ensure flawless deliveries. Apart from this, clients can get the balls from us at cost effective rates. 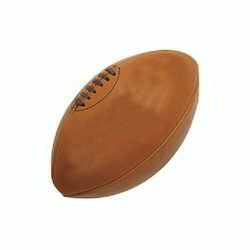 Our organization is placed among the noteworthy enterprise engaged in offering an excellent assortment of Antique Leather Rugby Ball. The offered ball is made available in standard color. This ball weighs light, which is a perfect option to play opponents. 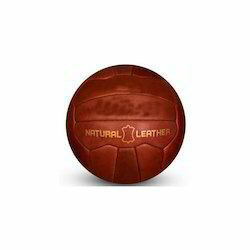 Moreover, the ball is manufactured using leather with hand stitching and applying latest techniques. Besides this, the printing applied on the ball is durable and delivers a long time design impression. Since our inception, we are affianced in presenting an outstanding quality array of Antique Leather Football. 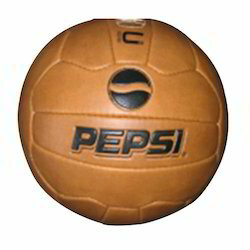 This football helps in providing a smooth, cushion, vibrant surface to the players while playing. In order to make the color appealing, it is processed by using quality-approved materials and compounds prescribed under industry standards. Bacterial free exposure and high durability are featured on the product. Also, the offered color can be availed from us in various safe packaging options at nominal rates. Assisted by a qualified workforce and advanced manufacturing unit, we are engaged in offering a wide range of Antique Leather Football. The offered football is manufactured using leather materials. There are two layers of padding lining provided inside the ball. In football, such quality fabrication has been always appreciated. The offered football can be made available at industry leading prices to the clients. Looking for Inflatable Afl Balls ?